The Brain Extractor is a Limited Edition Shadow type weapon. From deep within the bowls of Dr. F. Romage's laboratory comes this menacing machine. Personally responsible for accruing his supply of zombie brains for his dastardly and devious experiments, this machine can seamlessly extract a zombie mouse brain at the rate of approximately one brain every fifteen minutes. Scarily straight forward and easy to use, this device can remove zombie brains automatically once it is armed. It even comes with the latest and greatest in droid overseer technology, the iGor. The Brain Extractor is a Limited Edition weapon and can no longer be acquired by Hunters. It could only be bought from the Trapsmith in the Haunted Terrortories for 237,000 gold, 1 Brain Extractor Piece and 10 Halloween Candies during the Halloween 2013 event. It could not be refunded. The Brain Extractor (if unintentionally smashed) can be reassembled from Brain Extractor Parts. The Brain Extractor collects Brain Bits from the various zombie mice. The effect is greater when paired with the Skello-ton Base. Maniacal Brain Extractor - Requires the Brain Extractor Parts. An upgraded version of the Brain Extractor that has the same special effects and more power and luck. Smashing this weapon with the Hunter's Hammer yields Brain Extractor Parts, used in crafting the Maniacal Brain Extractor. 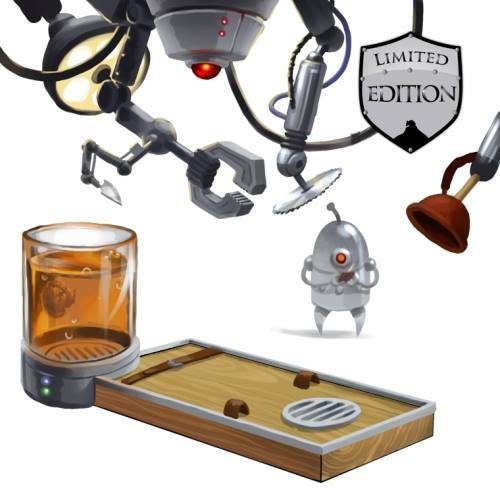 17 October 2013: The Brain Extractor was released at the start of Halloween 2013 event.